Oily products will strip your tan so we have developed the perfect moisturiser that will not only help to prolong your tan, it will help banish those dimples and restore a more toned appearance with our new wonderful, multi-tasking product. Available in contrasting gold / black 200ml tubs. 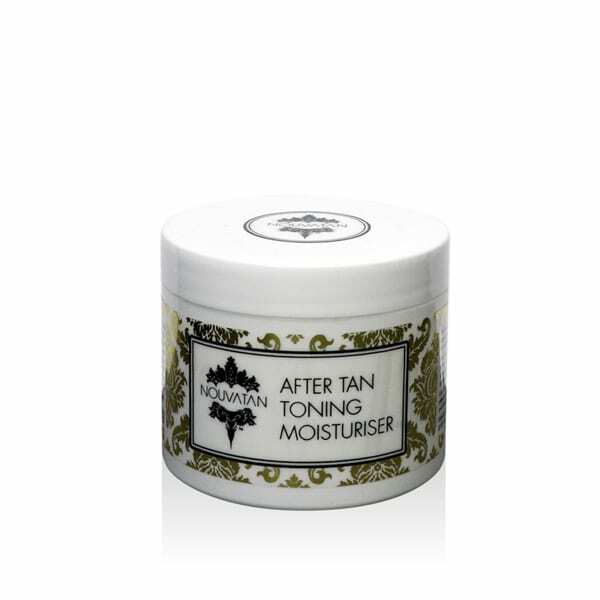 Use of oils after tanning will strip your tan so we have specially formulated this product for use after a spray tan. With Aloe Vera to soother, Co-enzyme Q10 and Juniper Berry to tighten and tone, Horse Chestnut to improve sluggish circulation, Grapefruit extract and Butchers Broom to help guard against fluid retention and swelling.